Clearly see who’s at your front door day or night. Watch 30-second video clips on-demand. Receive alerts and notifications on your mobile device so you never miss a visitor. 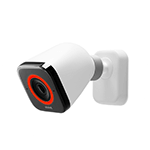 Provides a 180 ̊ wide-angle view of your entire doorstep landscape. 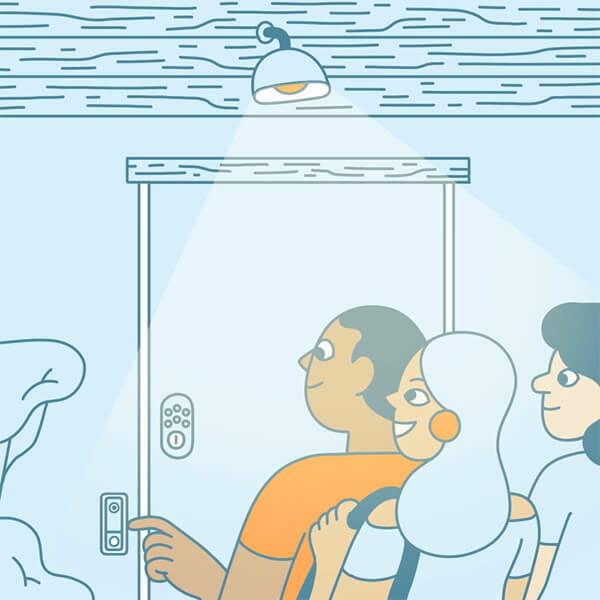 Unlock your front door, open your garage, turn on lights,and more. Records 24/7 continuous video for up to 4 cameras, for up to 30 days. Vivint Doorbell Camera brings elegant design, understated form, and high-tech function to your entryway. More useful than an old ding-dong doorbell, more subtle than a security camera, it’s a video doorbell with a 180-degree lens, HD resolution, and infrared night vision to see everything outside your door at any hour. An ominous surveillance camera overlooking a welcome mat might send visitors a mixed message. The minimalist design of Vivint Doorbell Camera mimics a regular doorbell to blend seamlessly with your home exterior and keep your entryway feeling like a meeting place, not a TSA checkpoint. 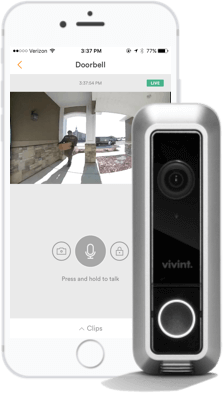 With its built-in two-way talk, Vivint Doorbell Camera lets you talk to visitors even when you’re away. That way you can get package deliveries stored someplace safe, not left out in the open. And when a surprise visitor catches you off guard, you can make other arrangements without. You can’t predict who might show up unannounced, or when. With a discreet video doorbell, it won’t matter. Smart motion detection notifies you when someone approaches so you’ll know they’re outside before they ever ring. You’ll know even if they knock. 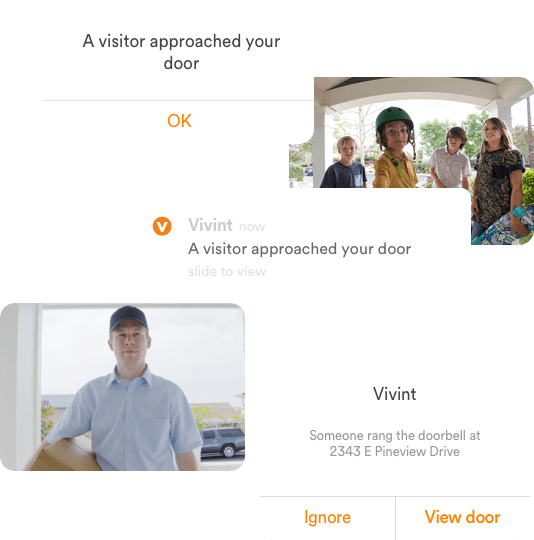 With Vivint Doorbell Camera integrated into your Vivint Smart Home system, you can talk to visitors, unlock doors, and turn on lights from within a single app. That means you can greet your dinner guests when they arrive right from your phone and you won’t need to leave them waiting on your doorstep if you’ve been delayed. 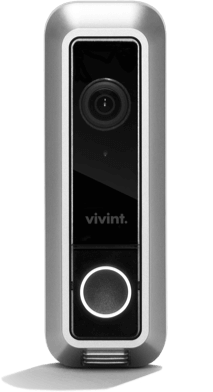 Vivint Doorbell Camera’s visitor detection distinguishes people from passing cars, dancing shadows, or waving branches. Real visitors activate 30-second, Smart Clips that get saved for 45 days to give you time to catch up on what you’ve missed. 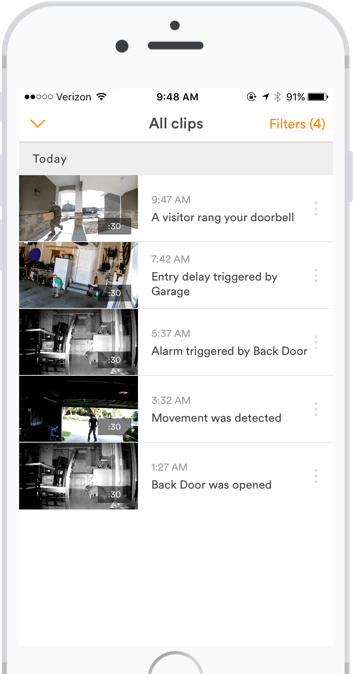 Vivint Playback upgrade adds 24/7 recording to the doorbell camera experience. 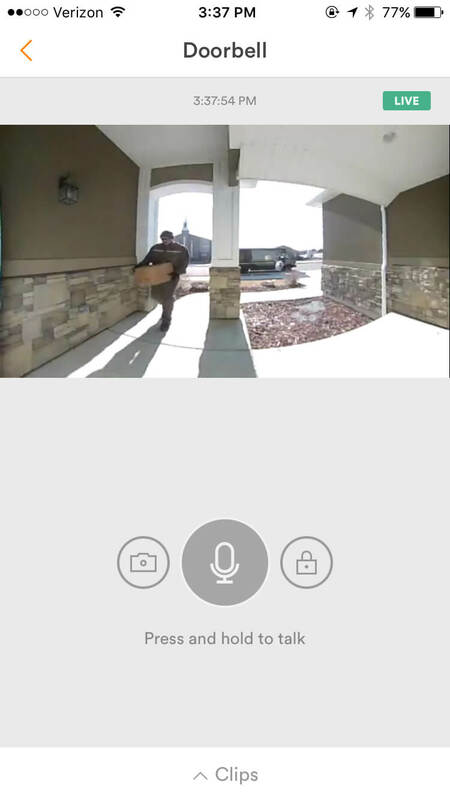 Video doorbell recordings upload wirelessly to Vivint Smart Drive so WiFi networks won’t crash. And since it all integrates into one smart home system, you can view recordings from the Vivint Smart Home app. 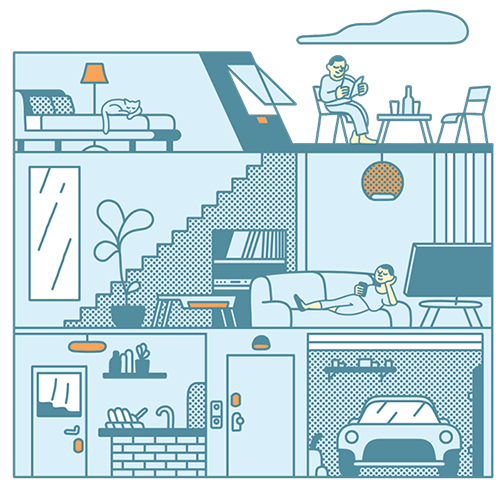 Every Vivint Smart Home system gets professionally installed by qualified and licensed Smart Home Pros so you can focus on your life. 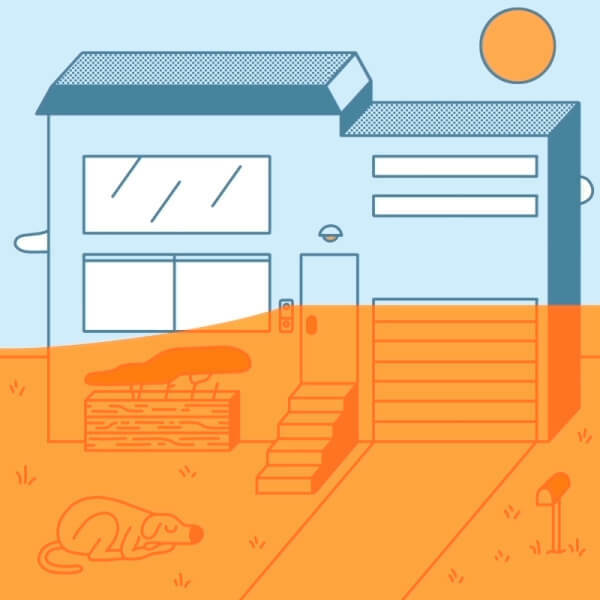 Our installation teams will make sure your doorbell camera blends with your home exterior, links up seamlessly with your Vivint Smart Home system and works the way you want it too. 12-24VAC or DC, 1.0A min. How does a front door camera improve my home security? A front door camera lets you know the identity of the visitor before opening the door. You know which family member is the right one to send to the door. Anything that happens on your doorstep gets recorded. Click here for more on the security benefits of installing a smart doorbell. How does a smart doorbell make me more productive? The electric doorbell first appeared back in the early 1800s. Originally intended as a simple alert signifying doorstep visitors, today's wireless doorbell technology improves upon the basic notification in many ways that make managing your home more efficient. Click here for more on the benefits of a WiFi doorbell. Life happens at the front door.